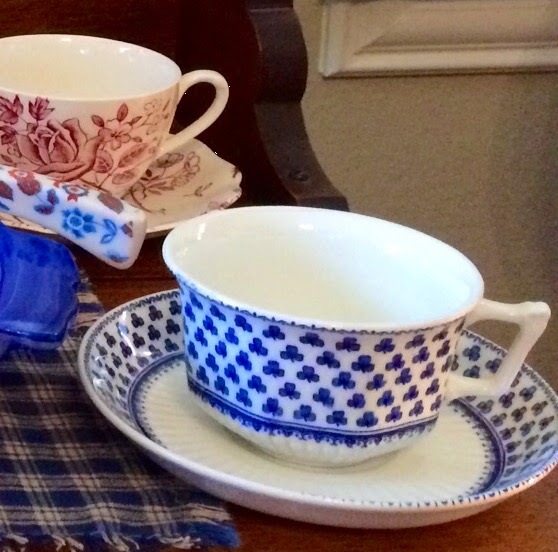 My friend Stephanie, from The Enchanting Rose held another teacup exchange. 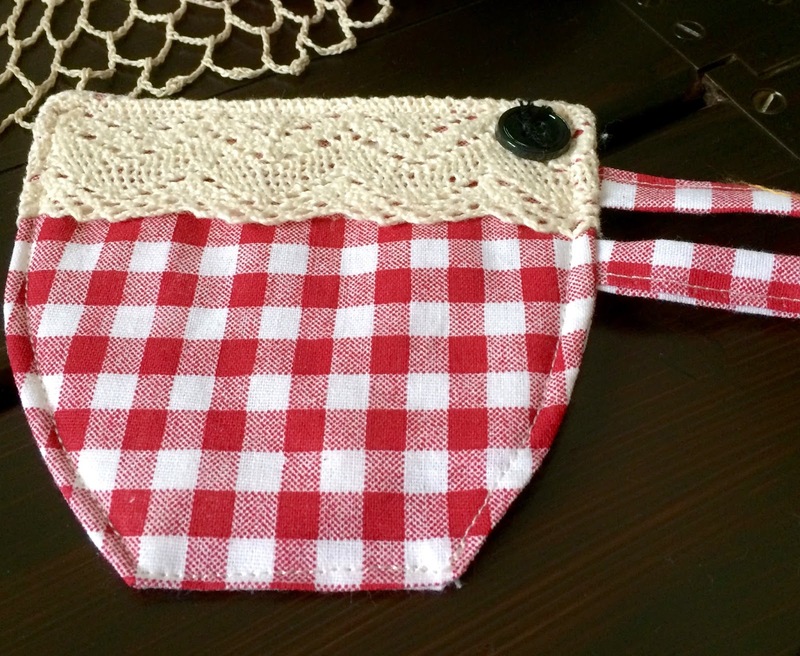 It is such a fun exchange because it's a delight to pick out gifts for your recipient and mine was Tilda from Huckleberry Stitches. It's such a surprise to receive a box back. 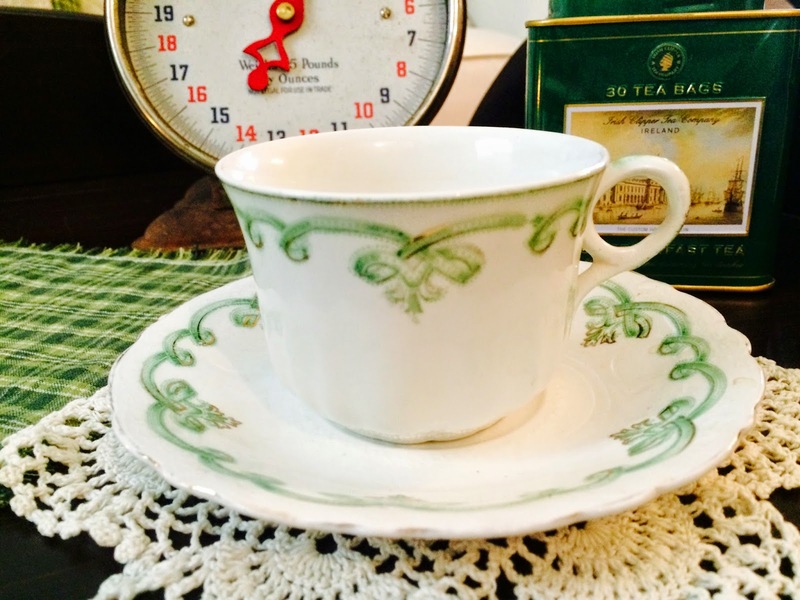 I received this gorgeous teacup from Wanda, from Got a Minute or Two?. 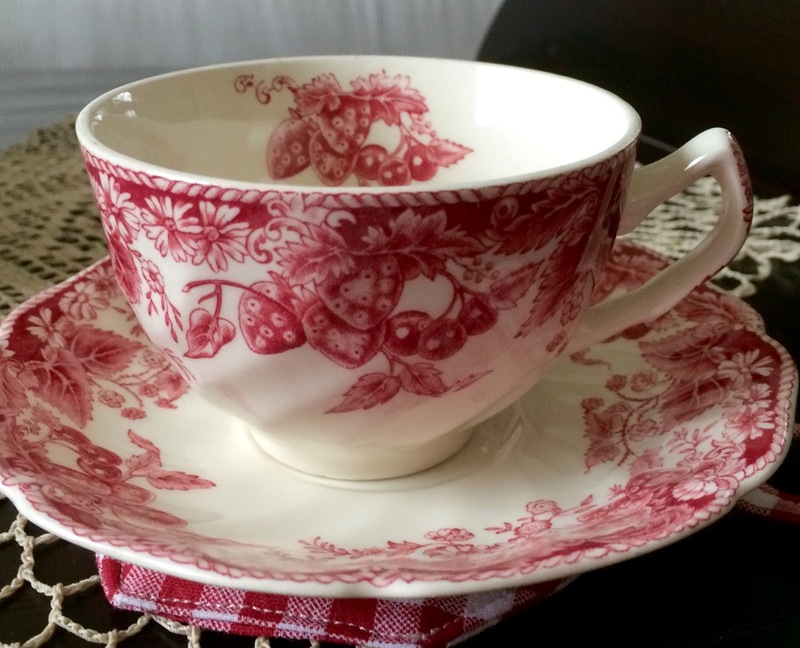 Don't you just love the pretty floral design and the surprise of flowers inside the cup? No only did Wanda send me the lovely teacup, but all these goodies! Look at the cute card in the back. The muffin holders are so cute, and the soap and candle are special for bath time. I so love trying new teas and I have so many to choose from. Look at the pretty rose on the handle! I'm sipping some Darjeeling tea at the moment. Now, if you'll excuse me, I'm going to finish my tea and read the sweet book that Wanda included, and then blot my lips with the pretty, pink napkin, that she so thoughtfully included. 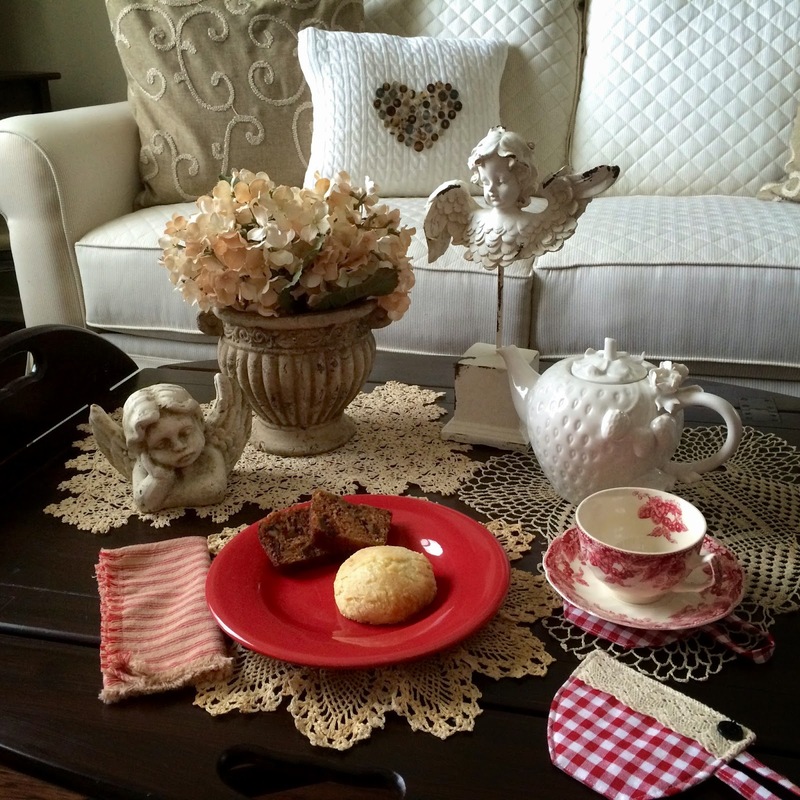 Thank you so much, Wanda, for the beautiful teacup and gifts. I am totally thrilled with everything! Thank you, also, to our lovely hostess, Stephanie, for being so thoughtful in planning and preparing for this favorite exchange. If you'd like to join in next time, Stephanie will have one again in the Fall. For today's tea, I have some things I'd like to share with you. Let's sit and have a slice of Pistachio Layered Dessert that I have leftover from St. Patrick's Day and a cup of tea. The gorgeous pink roses were found at a local grocery store, as a rainy day special, for $2.00!!! This Spring Cross Stitch is a Lizzie Kate design that I recently finished. I did it on linen and changed some of the colors up a bit to suit my tastes. I'm doing all four seasons and will just change them out in the same frame. My Petit Point teacup is by Royal Albert, and found on Ebay. When I opened up the box, one of my granddaughters was here and she said, "Oh Nana. it looks like cross stitch!" I turned over my sweater pillow that I had made for Valentine's Day, and used buttons to make a bunny. My inspiration was from a catalog from Pier 1, which I've shown below. I just laid my buttons around until I liked the shape and then I hot glued them on. You can see my heart button pillow here. Here's my inspiration for my bunny pillow. Recently my friend Sandi, from Rose Chintz Cottage, made a pistachio dessert and I was inspired to make one again for St. Patrick's Day. 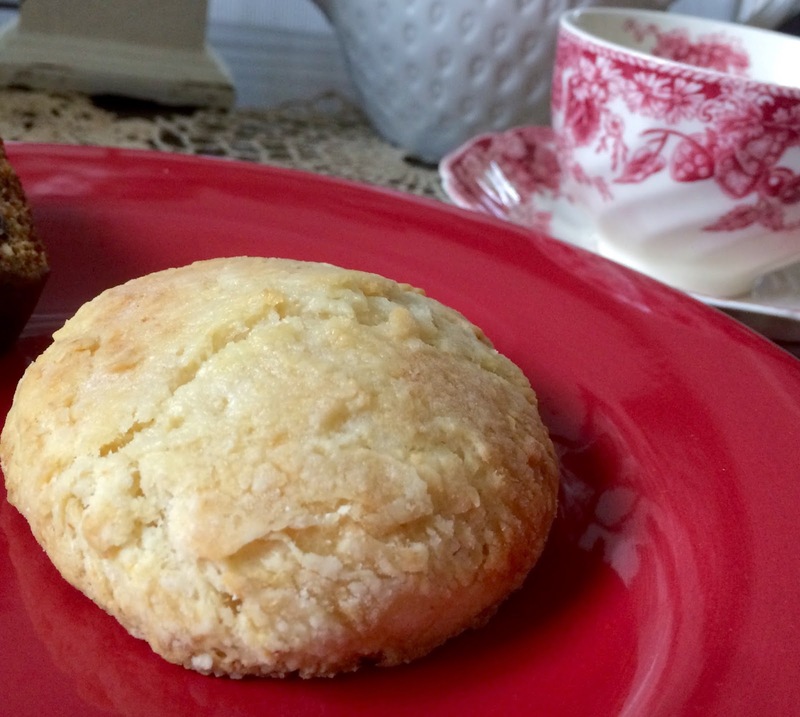 You can find my recipe that I shared last Spring, which can be found here. This time, instead of using Oreos in the crust, I used a sleeve of Lorna Doone cookies, along with the melted butter. They're both good! You can also check out Sandi's Pistachio Delight dessert here. 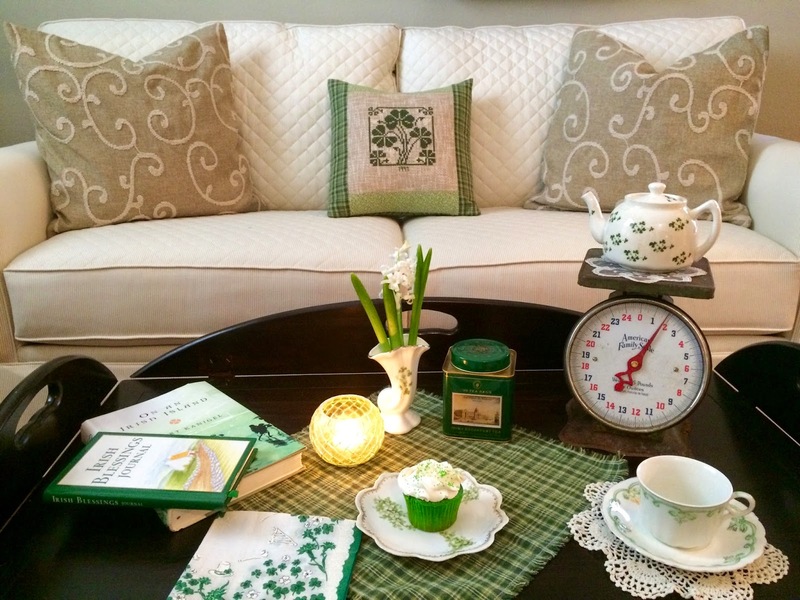 Kathleen from Cuisine Kathleen is having her annual St. Patrick's Day Blog Crawl, and Sandi from Rose Chintz Cottage is having her St. Patrick's Day and Spring Party. 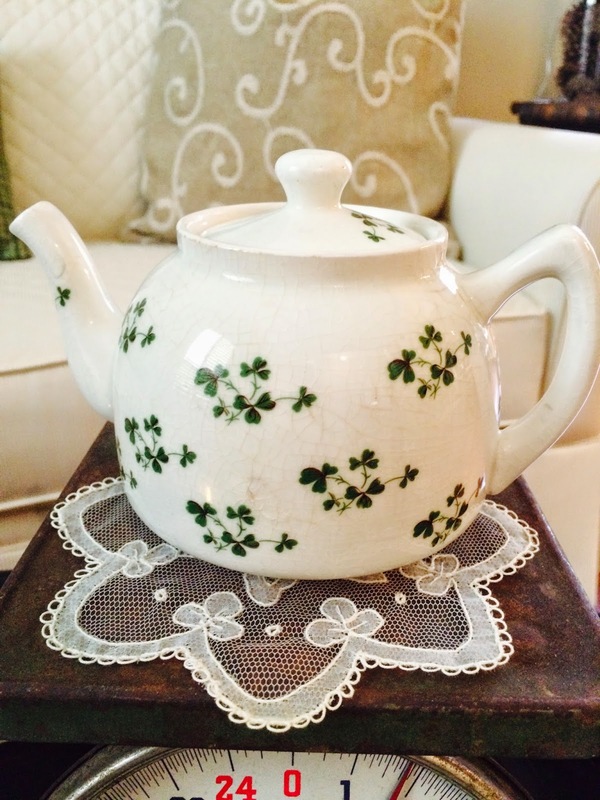 I'm sharing my Irish Tea, and I'd love for you to join me. I have extra cupcakes that I can bring to the table. This adorable teapot is one that I found for $1.50. It's old, has crazing, and the spout is chipped, but I just love her! 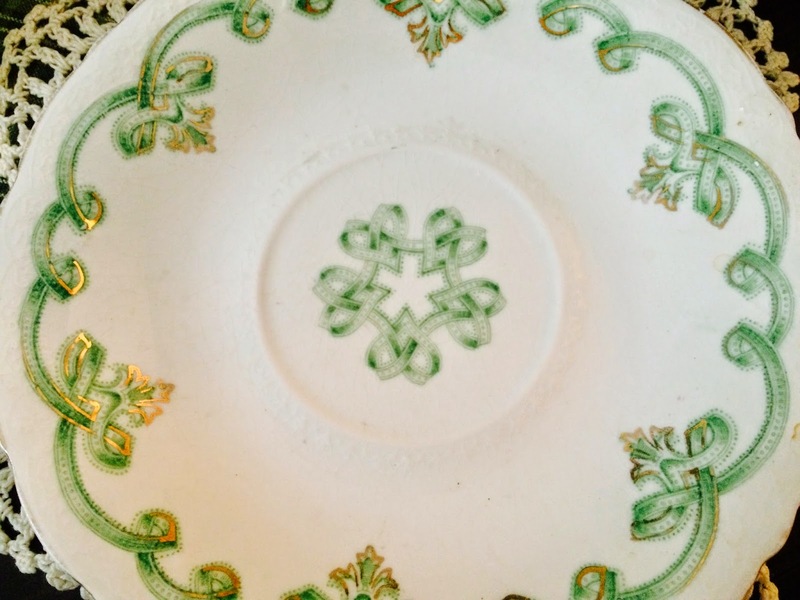 The bottom says Carrigaline Pottery Co., Cork Ireland. I like to think that someone so lovingly carried it over from Ireland, and now I have the privilege of using it. 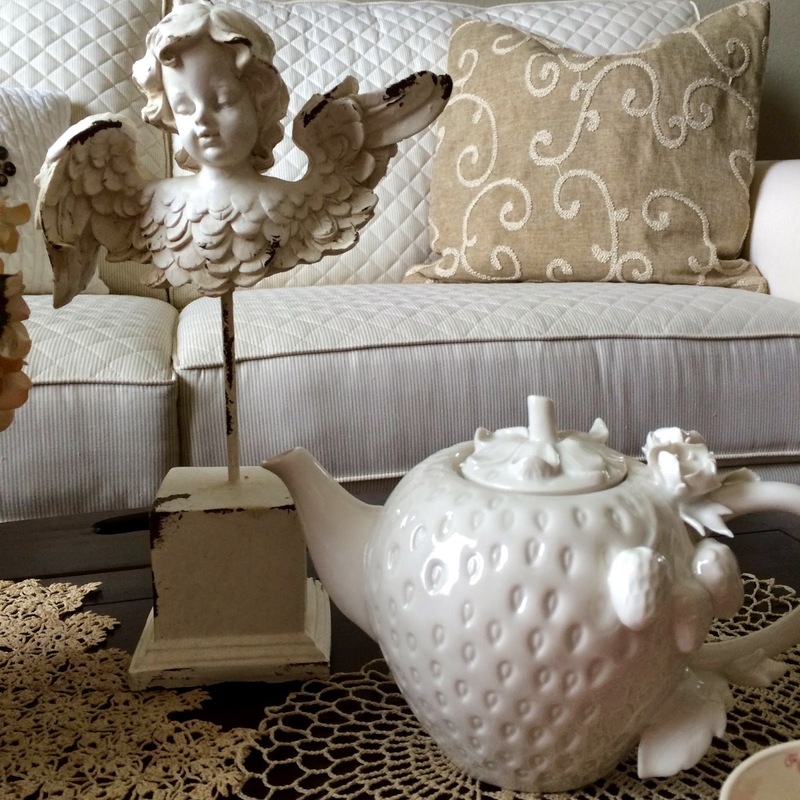 The lace doily is from a blogging friend. Isn't it gorgeous? This cup was an Ebay purchase and the lady said that the china had belonged to her husband's family. It looks very old and says Rolland, Johnson Brothers on the underside. I have to say that I adore this pattern! The pattern looks like Celtic hearts and I just fell in love with it. Inside the cup, at the bottom, is a repeat of the same design as in the middle of the saucer. 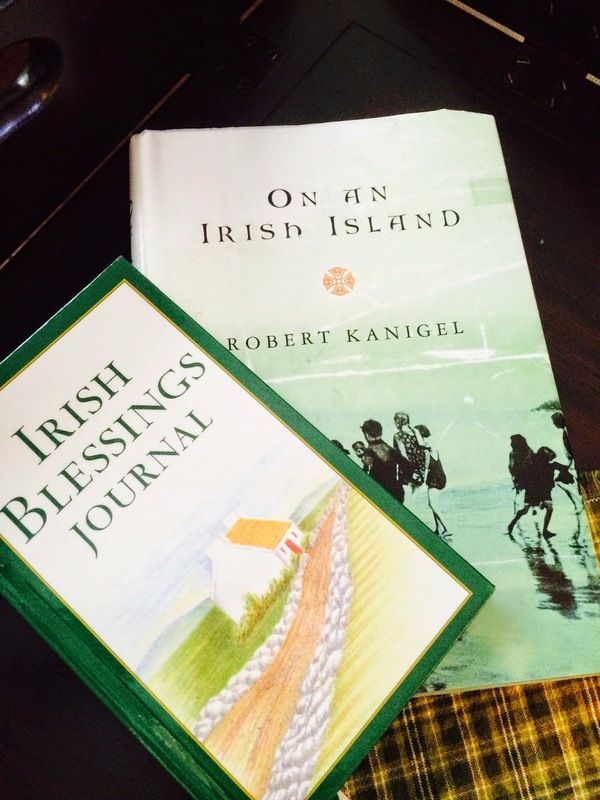 Maybe you'd like to read my Irish Blessings Journal from our dream vacation that my late beloved hubby and I took back in 2009? Now, let's enjoy a Green Velvet Cupcake with our tea, shall we? My adapted recipe comes from Kraft and it turned out so pretty! Instead of using semi-sweet chocolate, I used white chocolate with the food coloring because I wanted a deep green for the cupcakes. The frosting is so light and creamy. I hope you can try these for a St. Paddy's Day treat! 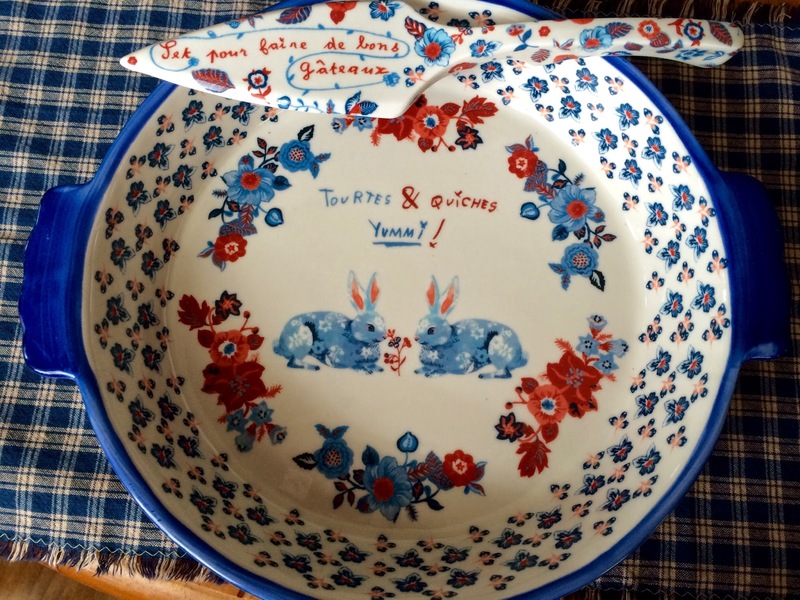 My Mom gave me the pretty plate, which has no marking, but isn't it sweet? PREPARE and bake cake batter as directed on package for 24 cupcakes, blending melted chocolate and food coloring into batter before spooning into prepared muffin cups. Cool completely. BEAT cream cheese, marshmallow creme and vanilla in large bowl with mixer until blended. Add the thawed frozen whipped topping; beat just until blended. SPOON frosting mixture into resealable plastic bag. Cut corner off one bottom corner of bag; use to pipe COOL WHIP mixture onto tops of cupcakes. 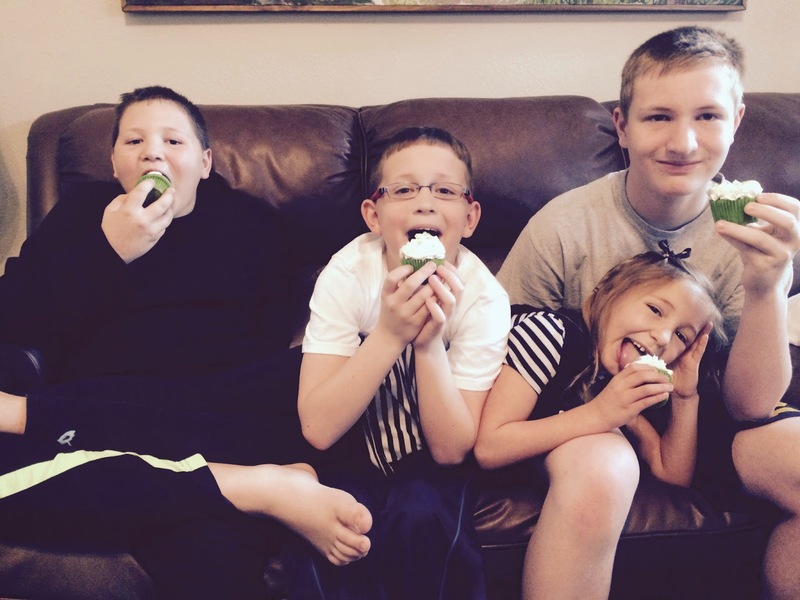 These were my happy helpers and taste testers! 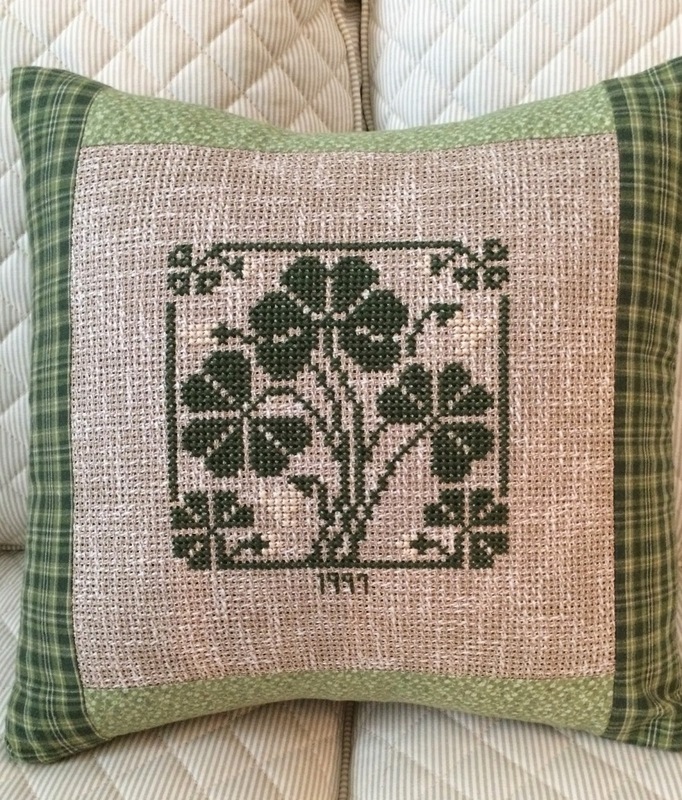 Here's my counted cross stitch that I did back in 1997 and recently turned into an envelope style pillow. Slainte'! Tea Time today was with my four-year-old granddaughter. 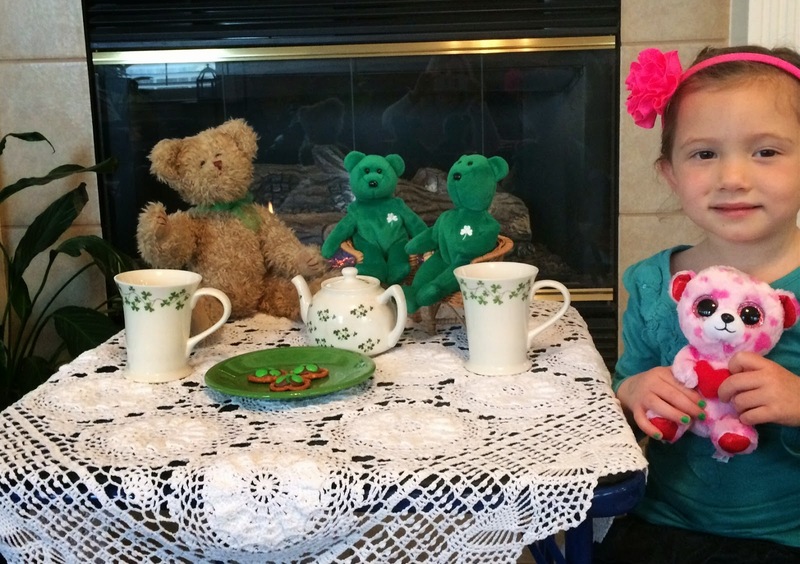 We set up the kids' table and placed a pretty cloth on top and invited Mr. Bear and some beanie bears to join us. Ella had her own little friend join in with her. Can you see her green nail polish? She's into the St. Patrick's Day spirit! Ella chose these pretty mugs for our tea. We made some special treats that are soooo tasty and easy for little ones to help. Kids love lining up the pretzels and unwrapping the Hershey kisses and placing them on top. Place as many mini pretzels as you'd like onto parchment lined baking sheets. Place the unwrapped Hershey Kiss on top of the pretzel. Place into a preheated 200 degree oven for 7 minutes, or you can go up to a 350 degree oven for just 2 minutes. It's your preference. You just want the Hershey Kiss to get soft. Take the pretzels out of the oven and place three green M &M's on top. At this point you can refrigerate them to firm them up so that you can easily move them off of the parchment paper. Add a bit of green icing for a stem and there you have a tasty, little treat! 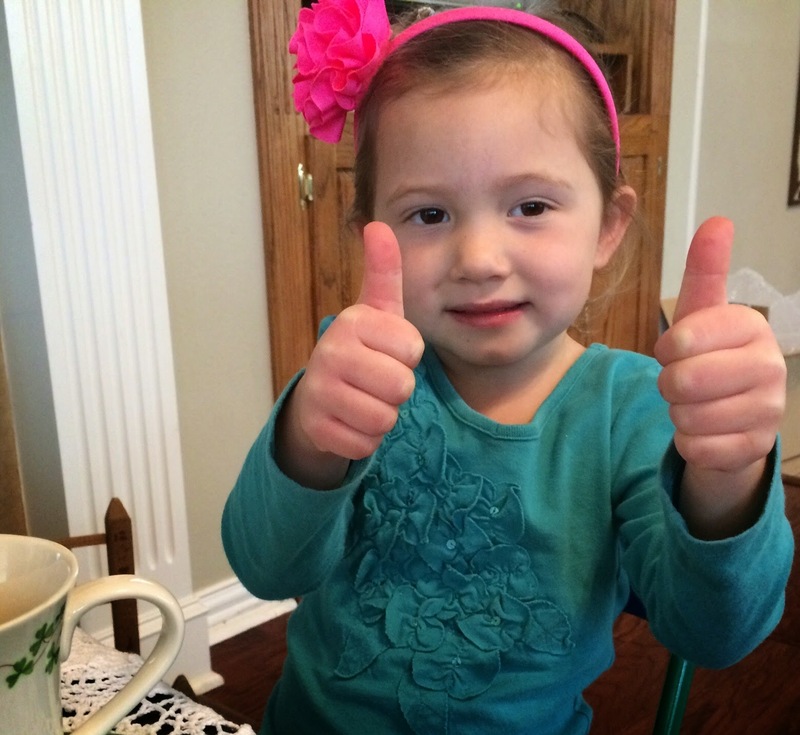 I asked Ella how she liked her treats and she gave them two thumbs up!